Coco Chanel is arguably the most significant influence on women's fashion in the twentieth century, a key designer to not only have captured a moment in fashion history, but to have shaped the fashion landscape in years to come. Coco's World is a compilation of Megan Hess' stunning illustrations of the 100 most quintessential moments through Chanel's history, from Coco's incredible life, to the impact of Karl Lagerfeld as creative director of the brand, and the incredible items that have become fashion icons the little black dress, the classic tweed jacket, the luxurious bags, alluring jewellery and, of course, the renowned Chanel No. 5 perfume. 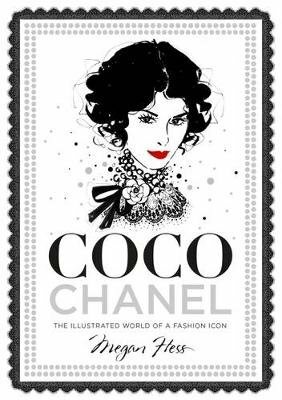 Interspersed with anecdotes and famous quotes from Coco herself, Karl Lagerfeld and other key fashion icons, this book is an elegant and immersive celebration of the moments that shaped Coco and the iconic Chanel brand.